The goal of Gurmat School is to have our children understand the Sikh way of life and the message of the Sikh Gurus. ● Punjabi Curriculum to provide knowledge of Gurmukhi script and Punjabi Language. ● Gurmat Curriculum to provide knowledge of Sikh history and Gurbani. 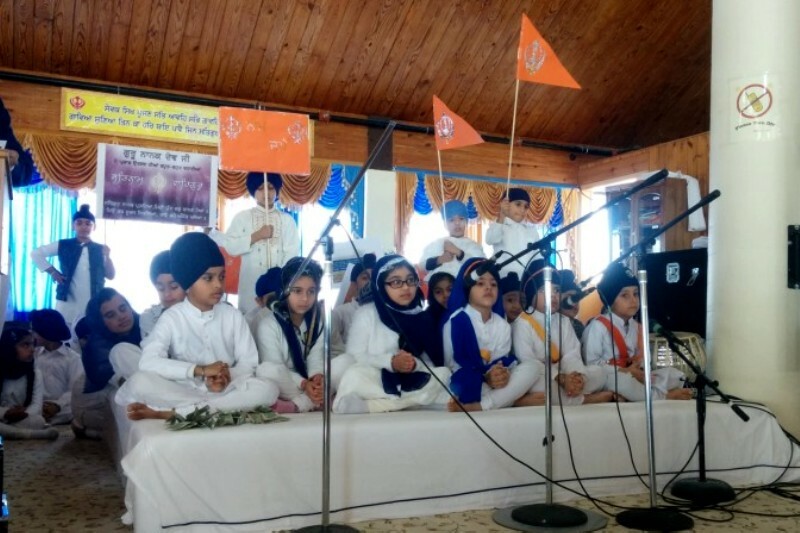 ● Kirtan for those children who have aptitude and interest in learning Kirtan so they can appreciate and nurture the Sikh musical traditions. ● Gurmat Camp: Sikh way of life is demonstrated through these Annual camps, and doing selfless service (seva). ● Public speaking will continue to play an important role in the Gurmat School curriculum, as it is the basis for creating confident young adults and fostering leadership skills. We would like our students to grow up into young Sikh adults who are proud of their heritage; are comfortable with the Sikh identity and practice the Sikh way of life.